steadfast love, slow to anger. HOW TO DISTINGUISH THE VOICE OF SATAN. Satan can only access you through your mind. He comes with deceitful and deceiving thoughts. When he can get you to think on his thoughts then he can have dominion over you. Here is help for you as you study how to think "God's Way" from the Webster's dictionary. Think on what's TRUE: Free from fraud or deception. According to God's written Word,is what you're thinking true or not? headedness, morally or legally right. Think on what's PURE: Free from what violates, weakens or pollutes, innocent, clean. Clean in thinking and actions, innocent according to the way God sees it, work on this, it will come to you. Think on what's HONORABLE: Decent, ethical, morally right, high moral integrity. What are you like when no one else is around, what is your inner heart like, godly integrity in your heart is what God loves! Think on what's LOVABLE: Sweet, beautiful, respectable, having qualities that attract affection. Eating bitter or sweet things, what do you prefer? Think on what's KIND: Warmhearted, goodhearted, tender-hearted. Heart this, heart that, God sees the real you, your heart. You can't hide from God, He sees straight into your inner hidden being. With a sympathetic fore-bearing, pleasant nature, He looks at you and wants to see the same in you! you so you can live long, prosper, and have joy and peace in this world. Know satan's lies and counteract them with God's Word and ways. God Bless You until next time. has been ordained as independent Christian clergy on February 19, 2000. World Christianship authorizes this individual the authority to perform all standard Christian services including the rites of marriage and baptism. GOD SAID : DON'T EAT THE FAT!! the One who made you from dust! Instead of keeping our minds on the symptoms,circumstances,etc. we should instead occupy it with what Gods Word says ,thus ,doing this we plant the good seed planted. God has seven Redemptive names and one of them is JEHOVAH-RAPA translated : I AM THE LORD THY PHYSICIAN or I AM THE LORD THAT HEALS THEE.The Word given to us is our redemptive privilege of being healed. PSALM 91:16 God says concerning man "That dwell in the secret place of the Most High"
"With long life will I satisfy him".That promise is for ALL that dwell in the secret place,of trust and belief,in God and his Word. 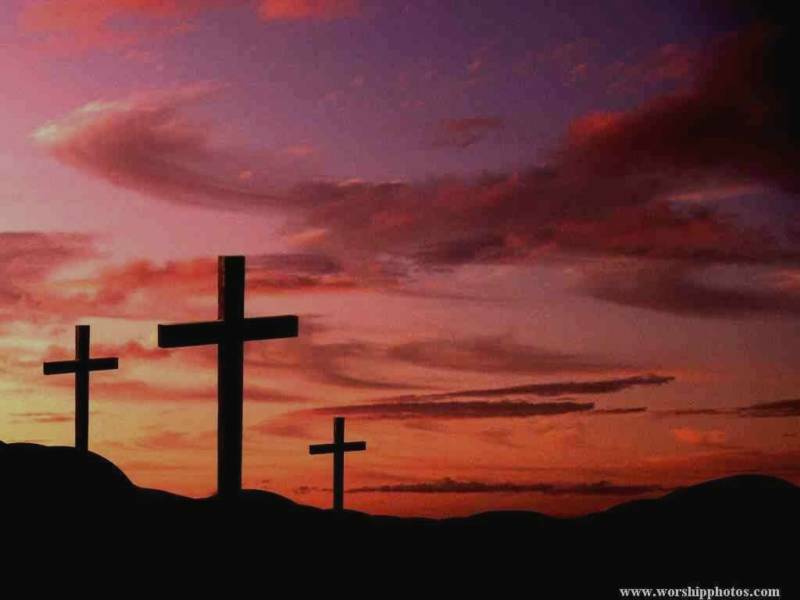 What Jesus Christ did on Calvary was for ALL mankind,past,present and in the future. In Mark 9:14-29 We see Jesus's disciples couldn't heal this man ONLY because of there unbelief! Even Jesus had to rely on the Holy Spirit when healing and miracles took place,and so it is with us today. To have compassion is to love tenderly,to pity,to show mercy,to be full of eager yearning. Faith is governed by the pure Word of God and is nothing less than expecting God to do what He promises.God moves when we move: he gave his Word,then you believe it,than God moves again to appropriate your beliefs.God never moves out of turn.It honors God to believe Him even while every sense contradicts Him and His word.He promises to honor those who honor Him! Satan cannot hinder the "seed" from doing its work unless we allow him to get the seed out of the ground.He can only do this by getting you to turn your attention away from the Word of God on to your symptoms. We are to think faith,speak faith,act faith and keep it until the promise is fulfilled.By being occupied with symptoms or feelings we violate the condition and thereby turn off the switch to God's power. As we put forth effort in reliance on God,to do what without Him,is impossible,God meets us with divine power.The full exercise of faith means that we think,speak and act faith.This brings the manifestation of all that faith takes according to the promise of the Word. Hope is expecting a blessing some time in the future.Faith is taking now what God offers.Jesus authorizes and commands us to put the reception of the blessing we pray for in the PAST TENSE. (MARK 11:24) THOUSANDS are not getting healed when they pray because there keeping the blessing in the FUTURE TENSE.This is only hope and not faith which takes the blessing NOW! 2) The whole of scripture. 4) The whole of God's revealed will. We are to refuse to have anything to do with wrong confessions! 1) Confess the Word in your heart FIRST. 2) Confess it out load in your room. 3) Say it until your spirit and your words agree. 4) Say it over and over again. 5) Say it until you whole being swings into harmony and into line with the Word of God. Jesus brought true life to this world.The Greek translation to this type of life is ZOE.Zoe is translated "eternal Life" and the "Life of God".Eternal Life is the actual life of The Eternal One Himself. 1) Turns belief into knowledge. 2) It is the source of ALL divine graces. 3) It gives us Godly wisdom. 4) It overcomes the world,flesh and the devil. 5) It works in us what is well pleasing in Gods sight. 6) God becomes our life,peace,righteousness(right standing with God),our purity,our strength and health. 7) God becomes our preserver,zeal,faith,guide,teacher and satisfaction. You must know the Word before you can have faith for it to work. Your church must believe and act according to the living Word concerning healing. Even Jesus could do nothing in his home town crib because of there unbelief.Stay around people that believe as you do! Follow the bible teaching only NOT what men think or teach if its not in line with the Word of God. Observe Gods rules for the natural health of our bodies. Beware if an elder or minister of your church doesn't believe the way the bible says too,the unbelief will stop your healing. Some diseases are caused by an evil spirit and they must be cast out for healing to take place. Unconfessed sin hinders people from receiving God's mercy. Be hot for the Lord ,a so so ,straddle the fence attitude in believing God's Word will get you nothing! You must follow god into the center of His will for you. Holding a grudge or unforgiven towards others.Forgive all unconditionally. ​If you have wronged anyone seek there forgiveness,make it right. Seek God for your healing like your time on earth is up tomorrow. Miracles take place in an instant.Healing takes place day by day until total healing is the end result. You weaken your faith by watching your symptoms. Remember : Think faith,speak faith,act faith. We can't keep the healer outside the body and expect him to heal it.He must be granted access to the inside of you. Do not substitute you belief in the doctrine of divine healing for personal faith to be healed. MARK 11:24 tell us the exact conditions God requires for our appropriation of the blessings He has promised. Understand that God wants to train every christian to believe Him when everything they can see, except His promise, is to the contrary. This scripture is penned by Paul the apostle that also penned two thirds of the New Testament.It relates to a "thorn in his side" as being a physical aliment as some believe.How could Paul teach healing with signs,miracles and wonders when he himself was sick?In the old and new testaments not one time does "thorn in the flesh" deal with a physical aliment but is used as an illustration only.The "thorn in Paul's side" that he talks about are actually Buffetings produced by satan. reproaches,necessities,persecutions,distresses,whippings,imprisonments,tumults,labors,fasting,dishonor,evil reports,deceivers,shipwreck,dangers in traveling in the country and cities,hunger,thirst,to name a few. I highly recommend this book to all that teach divine healing or anybody that needs a divine touch on there bodies,especially those whom natural medicine has done all they can do.God's power is unlimited to those who can sell out and just believe God's Word.